"I'm enclosing a few shots of our latest beast which was purchased in February from the Cincinatti area with zero known history. Maybe one of your readers can tell us who built or drove it. 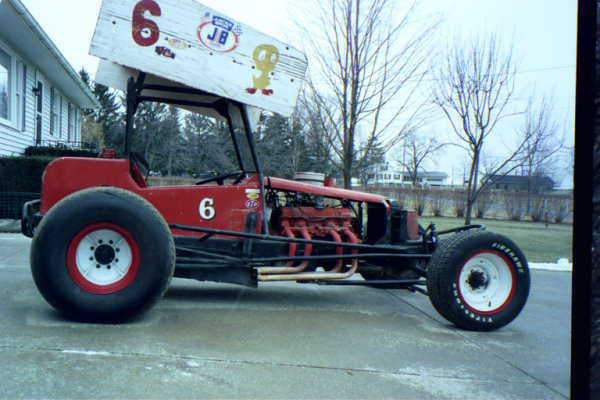 It's a 97 inch wheelbase with what looks like Model A rails and was originally set up for asphalt. 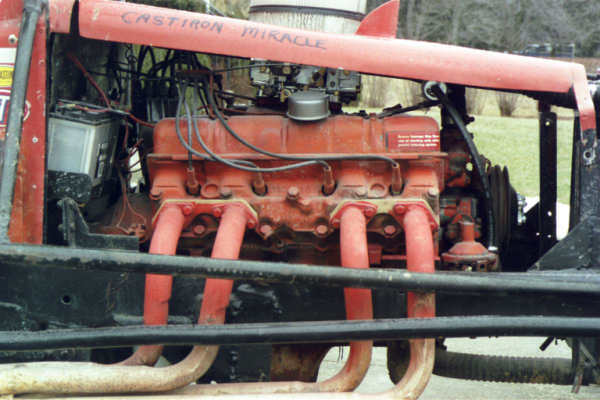 It has a Buick 401 Nailhead and uses a Chevy 3 speed for an in-out box. The wing is all wood and looks like it was added later in its career. The only information we have on the car is that it came from an estate sale and sat in a barn for thirty years without a carb. 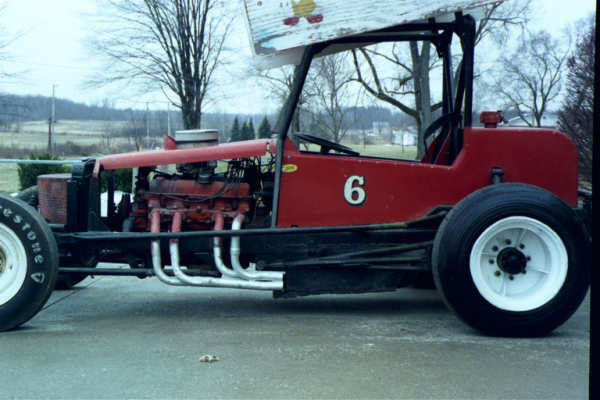 It was run in one exhibition race last year in the Cincinatti area. The only things we're updating are adding new fuel shut offs, five point harness, and safety wire."